It’s that time of year when many of us will be hosting a festive party. Getting friends and family together under one roof to celebrate often sounds very appealing, however, the thought of a big clean up or potential damage after, can put some of us off. One of the most likely areas at risk of damage during a party is the flooring. The increase in foot traffic with people coming indoors with muddy or snowy boots can cause extra wear and tear on your flooring. Similarly, spilt drinks or food can cause damage, which may need repairs or even more costly replacement. If you have a hard surface floor such as LVT, wood or tiles then impact damage or dents/scratches from footwear can be a real worry. Adding protective feet or glides to the bottom of furniture can keep chairs and tables in place and help reduce the risk of scratching to your floor. The Amtico Floorcare Starter Kit contains protective felt pads, as well as a Floorcare Maintainer, which is great for removing any marks that don’t disappear with a light sweep. Increasing the contact area between your furniture and floor will help to spread the weight, which in turn helps to reduce the risk of dents on hard flooring. If you find you have some ingrained post-party dirt on your hard floors, Amtico Floorcare Stripper helps clear the surface by stripping the immediate layers and works with Amtico Floorcare Dressing for a fresh new look. The biggest worry when it comes to carpets is spillage and stains from food and drinks, coupled with marks from muddy shoes. Placing mats at every entrance so visitors can use these can help. Putting a shoe rack near the door can encourage guests to take off their shoes off and small rugs strategically placed in areas such as near the buffet table can be a good idea. In short, don’t worry so much that you end up stressing out at your own party. 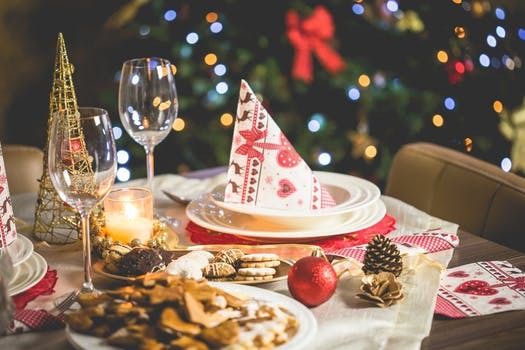 Flooring is a valuable and important investment but making sure you have a good time with friends and family over Christmas is more important! Best at Flooring Black Friday… What to Expect.